atmbiz: What is Blockchain Crypto Currency vs the Fiat Monetary System | Why Invest into Blockchain Bitcoin? What is Blockchain Crypto Currency vs the Fiat Monetary System | Why Invest into Blockchain Bitcoin? What is Blockchain Crypto Currency Technology? Blockchain is a digital technological ledger like infrastructure of collecting, storing, transferring and/or transacting forms of value such as data, information and currency in the language of cryptography. This is done on a decentralized network or web of computers spread across the world by volunteers who compete to decode and hash out encryptions via difficult calculations. This hashing process produces a web of nodes that communicate with each other organically until a general consensus has been reached. The first person to decode the encryption receives the reward of some bitcoin and is able to share the information that he/she decoded with the rest of the blockchain community. The information that was decoded is then verified among the blockchain community as valid. This information, data or value is then stored on a 'block'. Each subsequent block of information, data or value is intrinsically and automatically connected to its previous predecessor for the very reason that each block contains the 'dna' of its former block. Therefore these blocks of data, information and value are arranged in a chain like manner hence the name blockchain. By the very nature of how this technology is developed it reinforces credibility in a very secure system to collect, store and transfer/transact forms of value. What is Blockchain Crypto Currency vs the Fiat Monetary System? Decentralized - not run by a super elite party with bias interest. we include the general consensus. Autonomous - not controlled by one entity. we all self govern each other. we hold each other accountable. Credibility - created in the language of cryptography. In order for a block in the chain to be fraudulently changed the hacker would have to hack all of the computers on the blockchain ecosystem AT ONCE to change one block of information. No Inflation - limit to how many coins can be mined. Bitcoin has a max supply of 21 million ever to be mined. The federal reserve prints 38 million notes a day! Centralized - run by a super elite party with bias interest. they are not for the people. these people have their own agenda that aren't for our best interest. Non Autonomous - controlled by one entity. decisions they make are not held accountable. Credibility - the dollar is debt currency. it has no value. and people can create fraudulent money. Recently the Deutsche bank was raided for money laundering activity. This wouldn't be a issue within a blockchain structure. Inflation - 38 million dollar bills are printed each day. we are no longer on the gold standard. the dollar is backed by nothing. 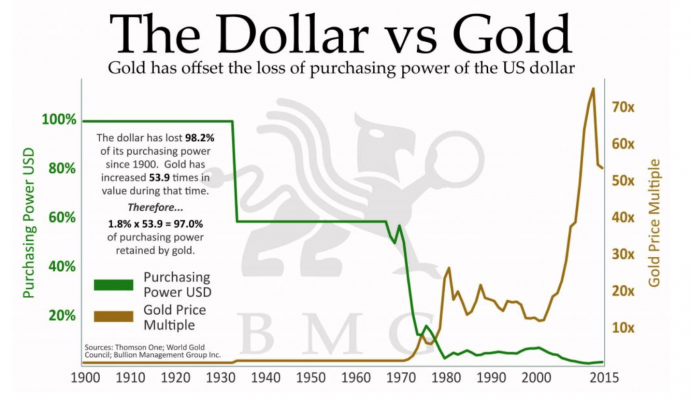 the more the dollar is printed the more it is devalued and thus becomes worthless. Bitcoin will be maxed out at 21 million. Why Invest into Blockchain Bitcoin? 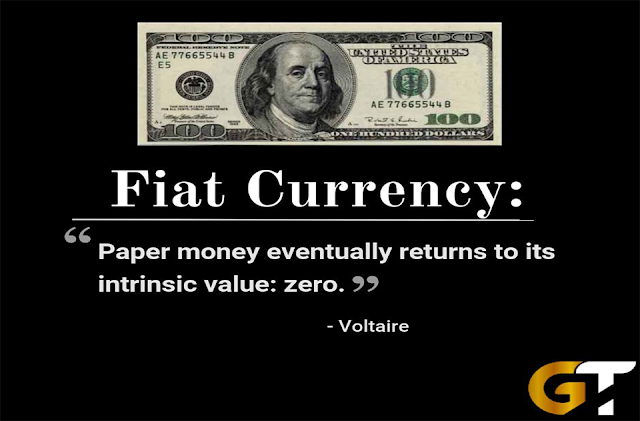 The current fiat monetary system is obsolete and not secure. 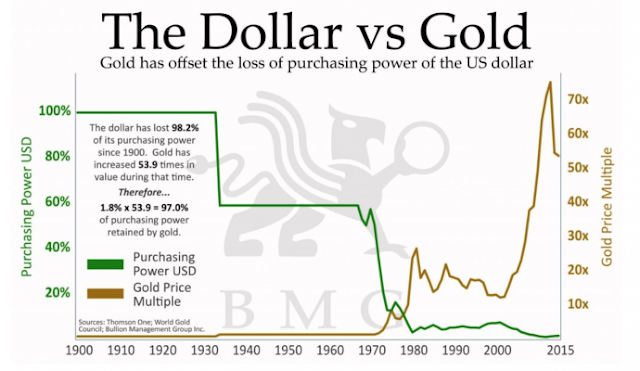 Paper money has no intrinsic value ever since President Nixon took the United States off the gold standard. Blockchain Crypto Currency Bitcoin has been compared to gold as the 'digital gold' and blockchain Crypto Currency Litecoin as the 'digital silver'. These blockchain crypto currencies along with ethereum has been declared as assets to grow your money and safe havens to store your money on. In fact there are certain blockchain crypto currencies that allow you to buy and own fractions of assets, stocks and commodities without physically holding it. For instance the blockchain crypto currency DigixDAO allows you to buy and own physical gold by purchasing a DGX token which is translated as 1 gram of gold. The DigixDAO company securely stores the gold for you. 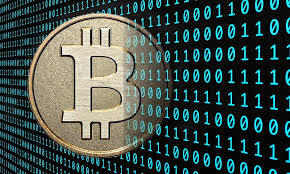 In the coming days as the dollar continues to decrease in price physical gold other wise known as God's money which is a precious metal and a commodity will start to increase in price along with its counter part the 'digital gold' other wise known as blockchain crypto currency bitcoin. 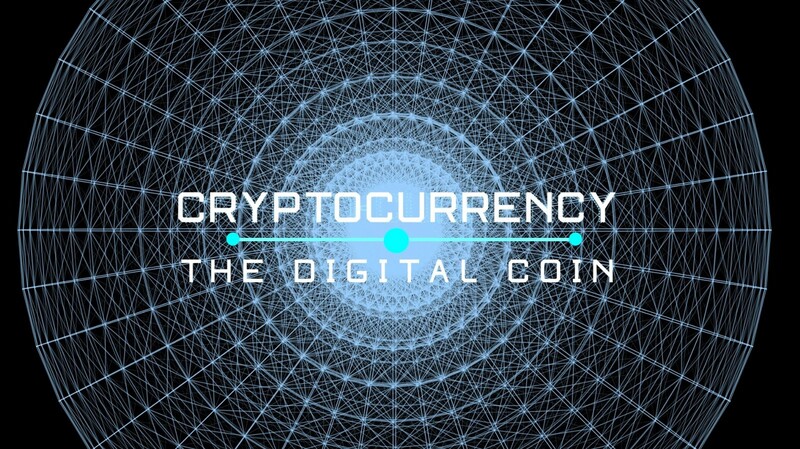 Considering the aforementioned it would only be wise to invest in a safer and more secure form of currency, asset and commodity that is built on a technology that is decentralized, crypto secure, autonomous and anti inflationary. 3. Message me on facebook to join the group. 4. Click on image to get involved now! hey it might be the country where you are registered as isn't available with the business. thanks for the feedback though! Thank you. Lets get ready for the upcoming crypto currency bull run. Thank you for the feedback. Bitcoin may dip a little but it’s bullish long term. Let’s continue to buy up more currency til it sky rockets to the moon!